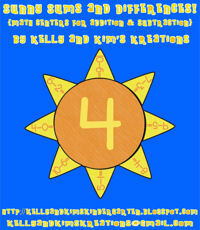 Kelly and Kim's Kreations: You are my sunshine! 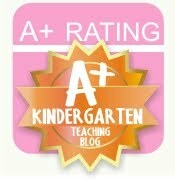 We are so excited to have a new math center up on our blog! In this center the children will add wonderful rays of light to the sun. The sun has a number in the middle that is a sum or a difference. The rays have number sentences on them for the children to match to the correct sun. 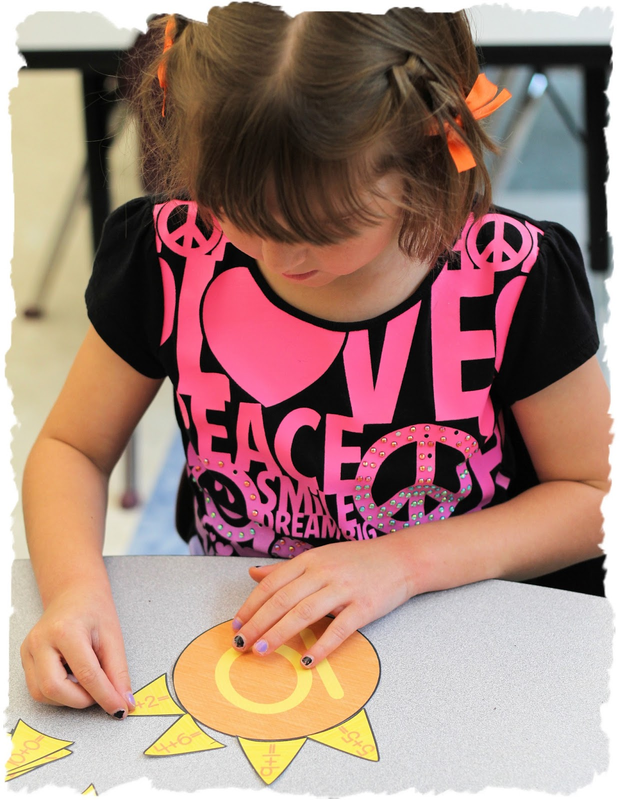 It was rainy and yucky outside today, but inside our classroom, it was nothing but sunny fun! Edible Equations! A Fun Freebie! Are you at the top of the food chain?